I'm smiling! 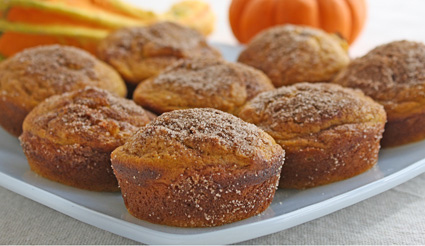 :) There are so many pumpkin recipes "out there" these days -- this is a nice "go to" recipe. Sadly, I've been missing my Tasty Kitchen connection lately (and Ree's blog and yours!) due to technical difficulties with my satellite connection... great for sunsets, not so great for uploading or downloading. I like the addition of nutmeg into the topping, instead of the "usual" cinnamon & sugar. Nice!